Phifer SunTex® 80 offers approximately 80% shading with excellent outward visibility and good ventilation. Instant Relief From the Sun's Heat. SunTex® is a unique woven mesh that can block 80% of the sun's hot rays before they enter your windows. SunTex® is ideal for use as a shading fabric on windows, doors and porches and offers good ventilation. This heavy-duty fabric made of strong vinyl-coated polyester is resistant to pet damage. Developed originally for use in outdoor furniture. SunTex® is mildew and fade resistant and needs only an occasional cleaning with mild soap and water. 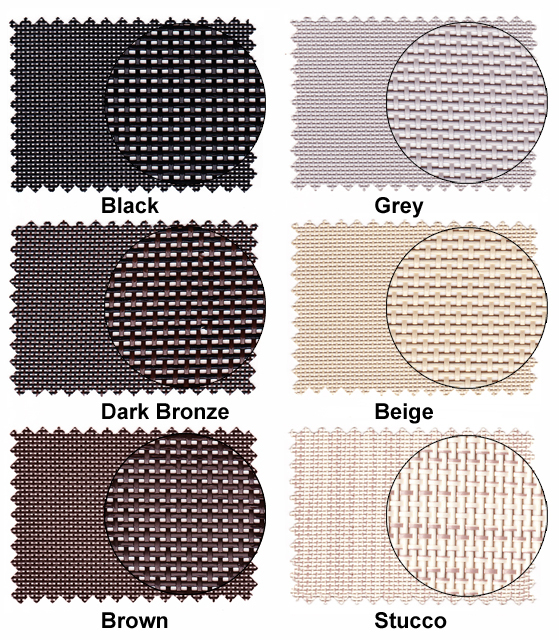 SunTex® 80 is available in several fabric colors and frame colors. 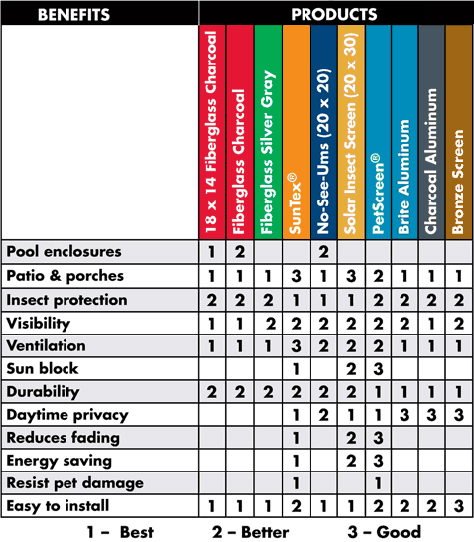 For more information about the various Hardware Options, click HERE. Would like to thank Matt for all his help. Got solar screens with grids for my whole house and they have really cut the heat and my cooling bill.